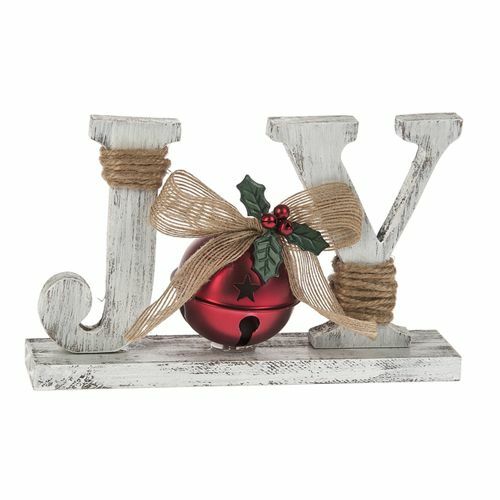 This "Ring in the Holidays" table top sign from Ganz features distressed wood, burlap, twine, and a red Jingle Bell that spell out the word "JOY." It is made to sit on a table or shelf. Dimensions: 8" W. x 2" D. x 5" H.